Your Daily Dose of Sabino Canyon: Takin' out the grass! 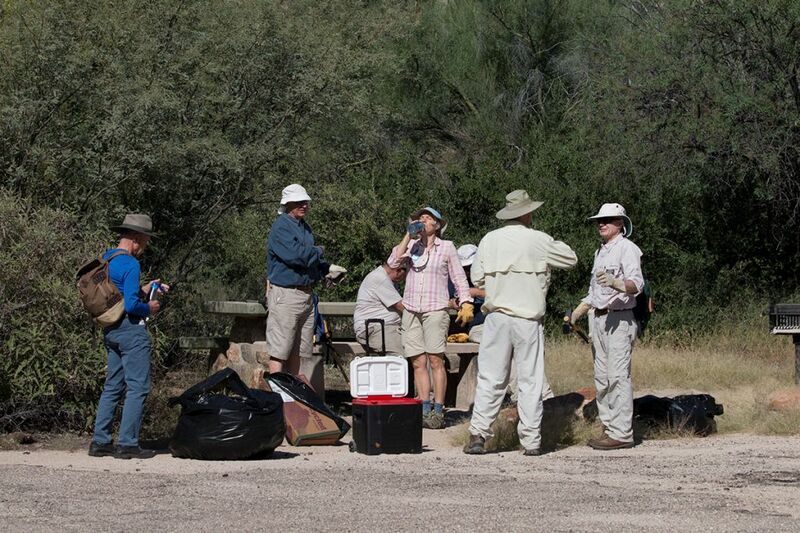 Thirty-one fans of Sabino Canyon spent a beautiful fall morning removing invasive grasses around the picnic tables and roadsides of lower Sabino Canyon Recreation Area on Saturday, Sept. 24, 2016. 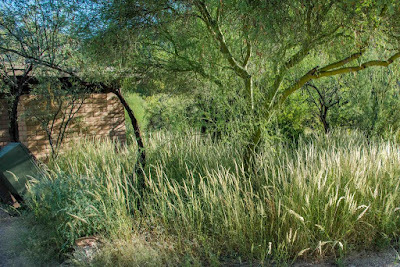 Target invasives were Soft Feather Pappus grass and Lehmann Lovegrass, annuals that have taken over sections of the canyon with the abundant monsoon rain. 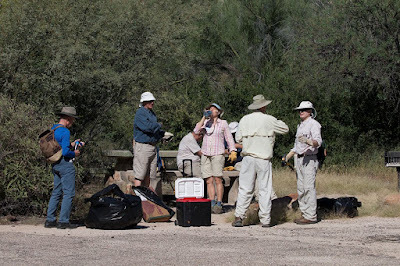 Participants concentrated efforts on the area where Sabino Canyon Volunteer Naturalists teach thousands of elementary school children every year. Public lands day helpers collectively worked 131 hours and filled and hauled out 78 65-gallon bags - our biggest total ever. Removing the unwanted intruders allows remaining native plants the sun and space they need to thrive. Participating, beginning with team leaders, were Tom Skinner, Marius, Elissa Fazio, Bob Veranes, Alison Maricic, Alice Bird, Bill and Louise Kaufman, Kenne Turner, Phil Brown, Susan Andersen, Bob Fernandez, Linda Matson, Sylvia Young, Jeanne Anderson, Tim Wernette, Ray Chappa, Alexa and Armin von Bieberstein, Marty Horowitz, Jim Klinger, Janet Shannon, Deb Langeloh and son Vaughn Donlin, David Engelsberg, John Coombs and organizers Jean and Mark Hengesbaugh. 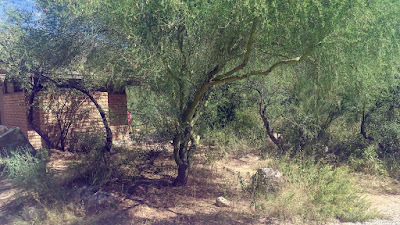 Coronado National Forest participants were Catalina District Ranger Ken Born and Zach and Felicia, two seasonal employees.